How to make a Weekly Time Sheet in Excel? An easy way to create your spreadsheet is by downloading this example Weekly Time Sheet Excel spreadsheet template now! The timesheet template is for tracking employee time. The template is printable and optimized for Excel. If your business is in need of a timesheet template with employee hours, overtime, vacation days, and even lunch breaks all included, this is a great solution. Though time tracking is a complicated affair, it is still a popular form of time management. 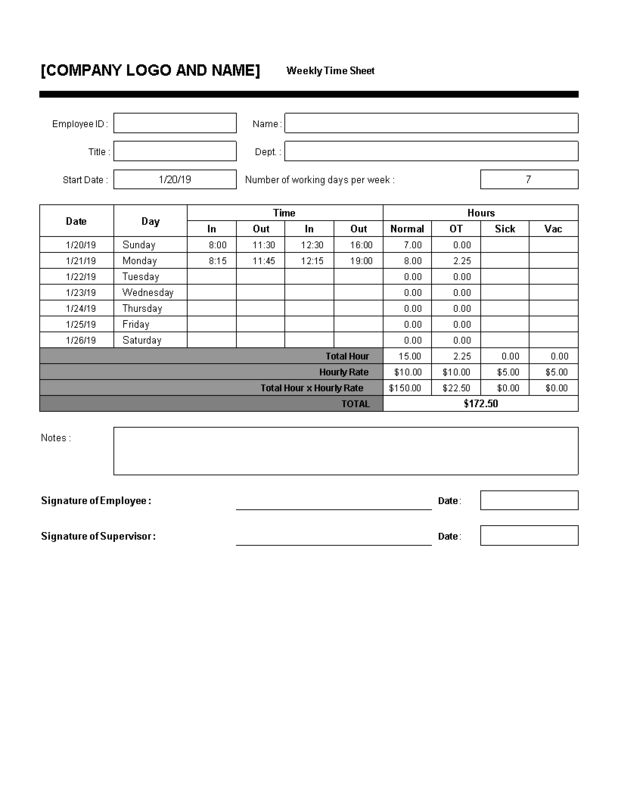 The sample of weekly timesheet template are available for the use of the management to record the hours worked by every employee during the week. Download this Weekly Time Sheet Excel spreadsheet now!